There are millions of websites on the internet with millions of owners as registering a domain name is very easy. Now one might think how to find out the owner of a particular website. One of the best ways to find out the owner of the website is by performing a WHOIS lookup. The first and the foremost thing you need to do is by typing in WHOIS in google or any other search engine. You will find a list of websites, you can click any one of them. Details on importance of domain for business. There are 100s of website to find the owner of the websites. This process is called, Who is look up. Other way to find the owner of the website. Open the website and go to the contact us page, there you can get the owner’s Email ID. Most of the websites, Will have some page similar to contact us, reach us, request quote or some way to reach the owner. You can send email to the mentioned email id, or fill up the form there. Mostly if you have genuine interest and contact them in a right way, certainly you will get a reply from them. Learn more on hosting and domain with offer. Approach a legal route to find the owner. This is very lengthy process to get the owner name of the website. But, When you dont have any option to reach the owner of the website, this is your final option left. You can approach any court and provide your case with all the valid documents and approach the court with all the necessary documents. If any court finds your need or case valid, then they can issue an order to the domain name registrar to reveal the identify of the owner of the domain. Information on Purchasing a domain name. In a WHOIS website you will not only be able to find out who is the owner of the website, but also when was the domain name purchase and when it will expire. The process of looking up for a domain name is a very simple process. All you have to do is to type in the domain name you want to find out in the search section of the website. Once you type in the domain name in the space provided you will get all the necessary information related to the website. Like the owner name and other details. While WHOIS is one of the simplest ways to find the domain name owner and its registration details. But nowadays there is a facility where you can go for a private registration mode where you can hide your identity. Choosing a private registration benefit will help to remove all the personal information related to that owner. Enquire about free domain with hosting. These are some of the ways by which you can find the owner of the website. You can also become a website owner by registering a domain name with us. Buy the best domain name for your business or personal blog. You can even purchase a web hosting package from us at affordable cost. 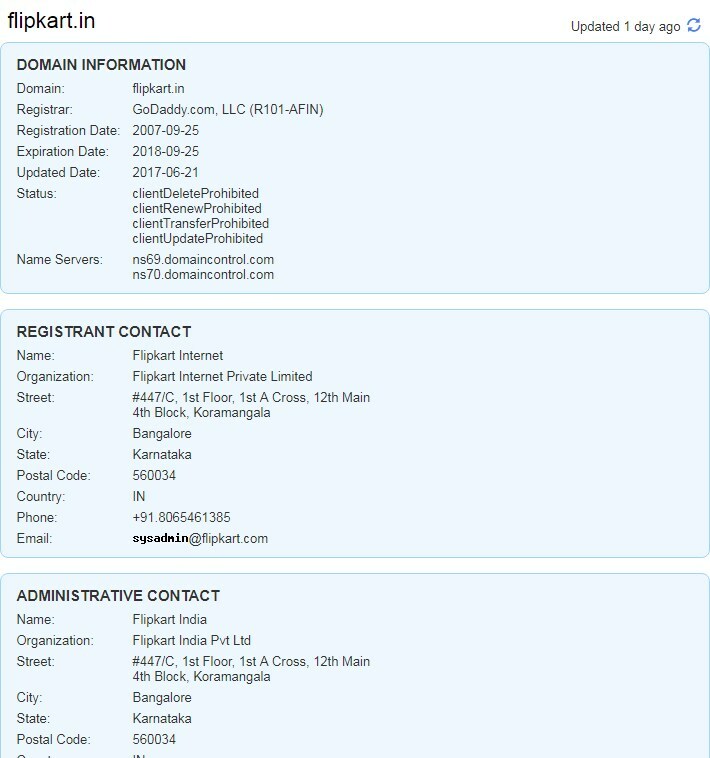 Try WHOIS.NET if you are looking to find the information of the domain owner. Looking up a domain name on www.whois.net is very simple. All you need to do is just enter in the web address that you want to look up. Next you will find all the information that you are looking for. Moreover WHOIS is one of the best tools want to find information about someone else’s website, but it can be a problem when it’s the other way around. When purchasing a domain or even afterward, most companies provide a private registration benefit that will remove any personal information about the owner. whoishostingthis.com — You can also try this website by entering the URL of any website and this online service will show you the name of the company where that website is been hosted. This website also come in handy if you need the contact information of the web hosting provider for writing a DMCA Notice or if you are looking to switch web hosts. DomainTools.com - An account with DomainTools.com allows you to explore all of the historical records and changes. And today if you are only looking at the WhoIs record, you won’t see or get much information. But today if you are using this DomianTools, then you can go back and view old records and see the original info they used when they registered the domain. And you can also find the contact information for more than one site owner this way. How does finding the owner of the domain name will be helpful to you? Business Networking - Today, if you are an online business owner then finding who owns a domain, will be really helpful. Because as you know it is very much important to build a good network for business. Because if you have a good business network you can easily stretch in all the corner of the world. So why people use online tools to search for the domain owners name might be to know their business location and contact information of online merchants, or any organization that has an internet presence. It also reminds them of matters related to the protection and enforcement of intellectual property rights. Today WHOIS is one of the most used tools to know more information about the domains and its main purpose is to enforce the uniqueness of domain names. Just think how dangerous and also affect your company’s brand, product lines, etc. To be compromised by another website with the same exact name! Even if there is a plain blog with the same domain name would do damage to your online presence. Today if you have already bought a new domain name and now if you want to verify and check you’re given is correct then you can verify it using some online domain information tools. This will really come in handy if you have purchased an existing domain for your business for SEO purpose, or with the intention of selling them to anyone. Domain name registration issues - If you are planning to buy a domain name then is a straightforward business, but sometimes there will be a few issues where it needs to be diagnosed and taken care of. So if with the help of WHOIS, DomainTools, NETIM, etc you can easily overcome these issues. With the system queries had made that provide useful information in resolving registration ownership issues like- creation date, expiration date, and registrar identity etc, or inding out who owns a domain name.